I haven’t mentioned it here yet, but I’m currently doing the BeachBody 21 day fix. Basically, it’s clean eating with controlled portions. I’ve yet to do any of the workouts (shhh, don’t tell my coach) so instead I just walk and make sure I hit 10,000 steps everyday. And I feel great. But the hardest thing for me is the evening. Once the kids are in bed I like to relax on the couch and have a little snack. In the summer, fruit is good and usually satisfies me but sometimes I want something a little sweeter. 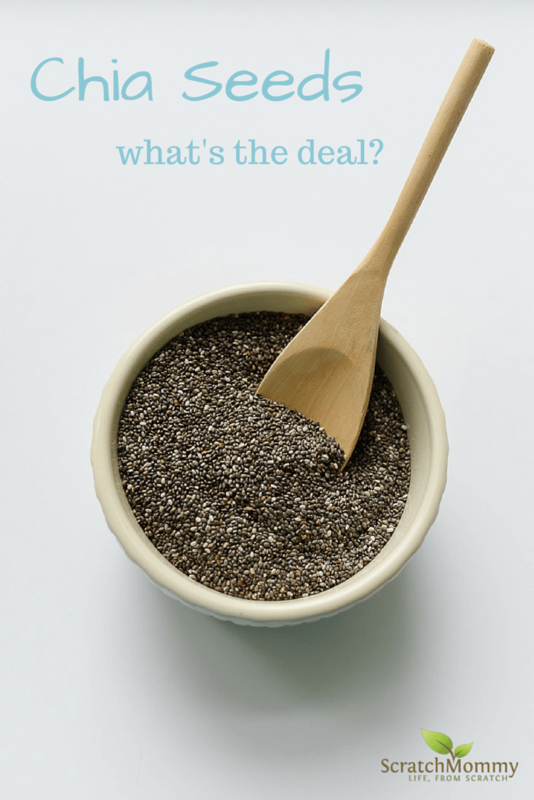 I recently investigated chia seeds for an awesome post I did on ScratchMommy—and now I’ve been adding Chia seeds to everything because they’re so good for you. Want to know more about chia? Click here or below! The next step was to try chia pudding. It is the perfect way to satisfy my sweet tooth in a super healthy way. I wasn’t sure how it would work out because it almost seemed too easy to make, but I had to try it. Turns out, it is delicious! And, don’t be scared of the chia seeds. If you like tapioca pudding, you’ll love chia and easy chia pudding. The chia seeds soak up the liquid and are soft and gel-like–just like tapioca. But they way healthier for you! 1. Dump all ingredients together in a small tupperware container. 2. Use a fork to mix well. 3. Refrigerate for 3-5 hours or overnight. That looks really good and healthy. I have used chia seeds in homemade pudding before but blended up and undetectable. I will try your recipe. I am curious about the texture. Hmm, I’m not certain how I feel about chia seeds, but this looks like something that I would be willing to give a try! Thanks for sharing the recipe! Chia seeds are awesome! I haven’t used them as a pudding, though, so I’m excited to try that!